Amanda Chidester is back for her sixth season with Team USA and hoping to be on the roster for the 2020 Olympics. 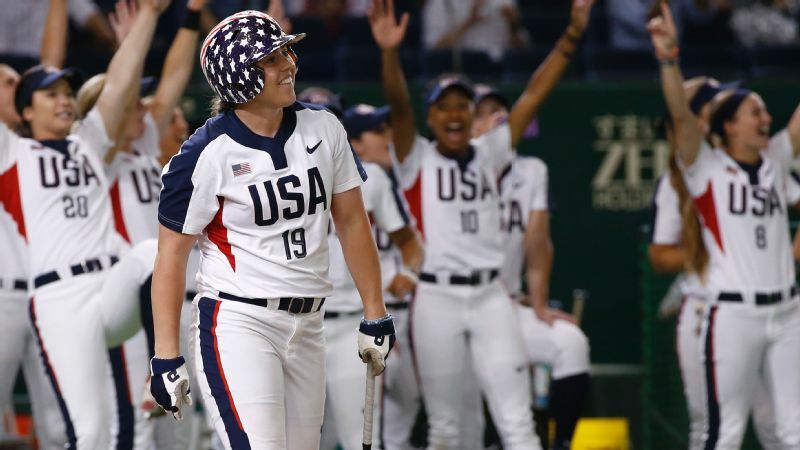 The World Cup of Softball, an annual eight-team invitational that begins its 12th installment this week in Oklahoma City, is a tournament with a big name and a more modest identity. 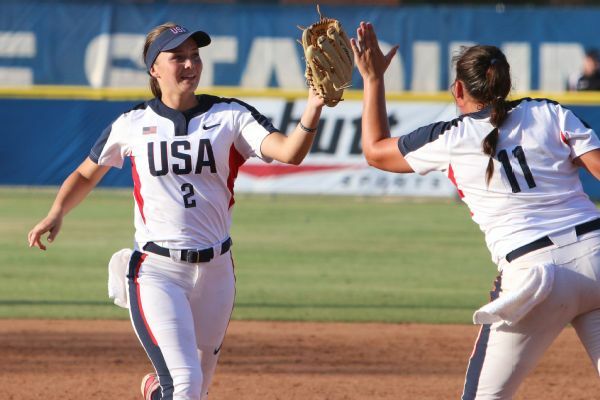 It is the most meaningful international softball event that will take place in the United States in 2017, but it does not feature the most meaningful games the U.S. national team will play this year. It is a renewal of one of the best rivalries in team sports. The United States and Japan will play at least once at Hall of Fame Stadium, with the potential for an additional championship meeting on Sunday between opponents that met in each of the past six world championship finals and two Olympic finals. Yet neither will be as concerned with beating its opponent as readying for future encounters. The World Cup is more than an exhibition and less than a major championship. But it is also part of the reason Amanda Chidester quit her job this spring, foregoing the security of one of the first regular paychecks of her life. And that, in its own way, is the best measure of its significance. For the first time in a long time, the World Cup is part of Olympic dreams. The former University of Michigan All-American, who is now in her sixth year with Team USA, didn't walk away from an assistant coaching job at Duke solely for the World Cup, of course. But for the first time since 2007, the tournament long overshadowed by the Women's College World Series with which it shares a venue takes place with the bright lights of Olympic softball on the horizon. 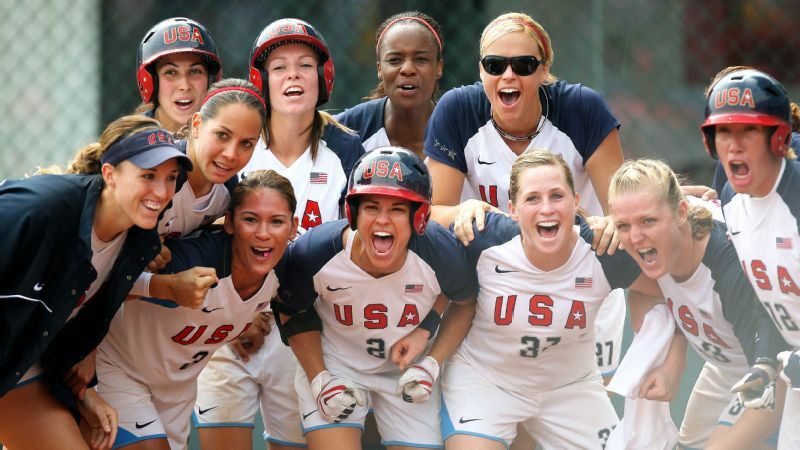 Eliminated from the Olympics in London and Rio de Janeiro, softball was added last fall to the program in Tokyo in 2020. 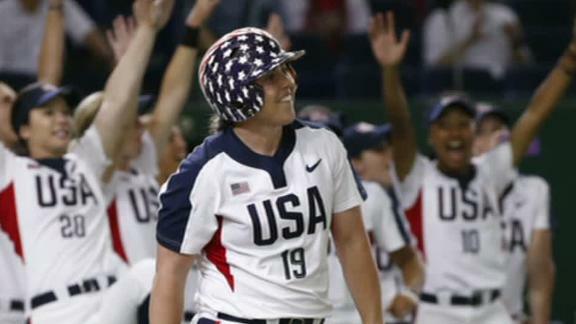 "I can't just walk away from this," said Chidester, who led the U.S. with seven home runs in last summer's WBSC World Championship. "It's the last thing in softball that I want to accomplish. I went to my dream school in college. In high school, we won state championships. I'm on the USA team. I've been making it year after year. How could I not go for this?" "I could do both [coach and play], but if I don't make it because I tried to balance both, I will regret that for the rest of my life. But if I go for it, all in, and I don't make it, then at least I can say I gave it everything I had. I went for it. And I can live with that." And while three years may sound like a long wait, the Olympic cycle is already well in progress. After a pair of exhibition games in California in June, Team USA's competitive schedule began in earnest with a trip across the Pacific and a three-game series against Japan, which will host both the 2020 Olympics and the 2018 WBSC World Championship. The U.S. (which 1-2 against Japan last month) will return to Japan in late August for the Japan Cup, an invitational similar to the World Cup, but its most important games are in the Dominican Republic in early August in a tournament that serves as the qualifier for both the 2018 world championships and 2019 Pan-American Games. All of which means that failure in the Dominican Republic this summer, while extremely unlikely when only Canada has shown the ability to compete with Team USA on anything close to a consistent basis among teams from the Americas, could be catastrophic for 2020. So as much as the U.S. would like to win the World Cup, all the more with the event's return to national television providing a level of exposure missing in recent years, its goals are as much about development and evaluation as wins. The current roster of 20 players, which includes the core of the team that won back the world championship from Japan a year ago, must be cut to 15 before the Pan-Am qualifying event. The cuts are likely to come a couple of days after the World Cup, according to coach Ken Eriksen. 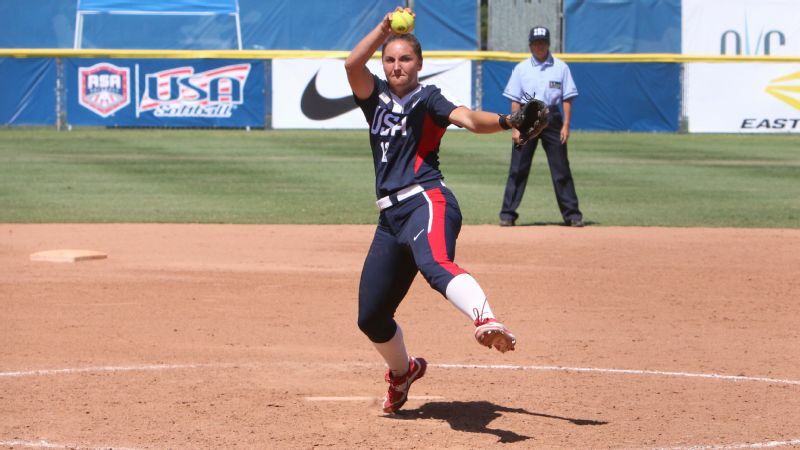 The small international roster places a premium on versatility, especially if Eriksen carries all five pitchers currently in contention: Kelly Barnhill, Ally Carda, Delanie Gourley, Jessica Moore and Team USA rookie Danielle O'Toole. Making the final roster of 15 this year doesn't guarantee a place on the roster that will attempt to defend the world championship next year, let alone a potential Olympic roster in 2020. But if there is one talking point Eriksen has returned to more than any other since taking the job, it is continuity (Eriksen is one of seven members of the national team selection committee). Moore, Haylie McCleney and Kelsey Stewart have been part of two world championship rosters. Valerie Arioto, Chidester and Michelle Moultrie have been a part of three such teams. "You can't have an all-star team," Eriksen said. "All-star teams don't win consistently because you're playing against other programs that have units that are together for four, five, six years. You have to have that going into an Olympics. ... It's got to be about the right fit." Longtime softball fans will likely see some familiar names on opposing teams in the World Cup. Former University of Washington All-American Jenn Salling is part of Team Canada, nearly a decade after she competed in the Olympics. Both Eri Yamada, whose home run provided the eventual winning run in the 2008 Olympic gold-medal game, and Yukiko Ueno, the ace who beat the United States that day, were part of the Japanese team in the recent series against the Americans. But aside from Eriksen, who won gold as an assistant coach in 2004, there are no remaining American connections to the previous Olympic era. 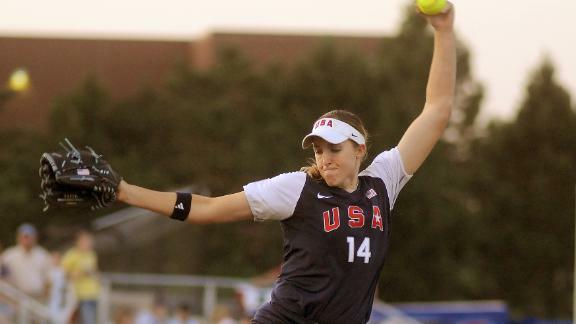 Monica Abbott, Andrea Duran and Kelly Kretschman, the three Americans still active from the most recent Olympic roster, play domestically only in National Pro Fastpitch, the six-team summer professional league. It remains to be seen if the softball powers that be in this country, both the national governing body and the pro league and its owners, will be answering questions in 2020 as to why the U.S. sent a team to Tokyo picked from anything less than its best possible candidate pool. The U.S. wouldn't send a basketball team without Diana Taurasi or a soccer team without Carli Lloyd. And it may yet be able to send a softball team with Abbott, still the best pitcher in the world at 31. With new USA Softball executive director Craig Cress, there has been a thaw in the historically contentious relations between that body and the NPF. Four members of Team USA have already played this year for the NPF's Texas Charge and Scrap Yard Dawgs, Texas-based teams with a common ownership background. That doesn't include Chidester, although she did the same a summer ago. 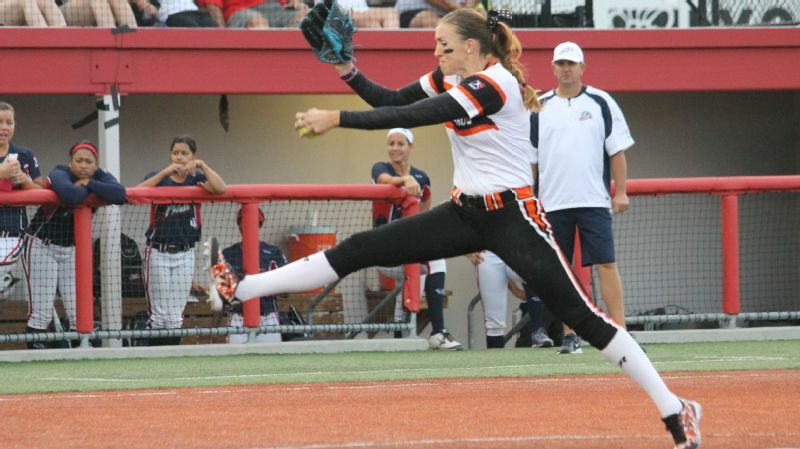 The Akron Racers and Team Canada are similarly sharing Sara Groenewegen and Jennifer Gilbert. And the league this season added the Beijing Eagles, comprised almost entirely of members of the Chinese national program. 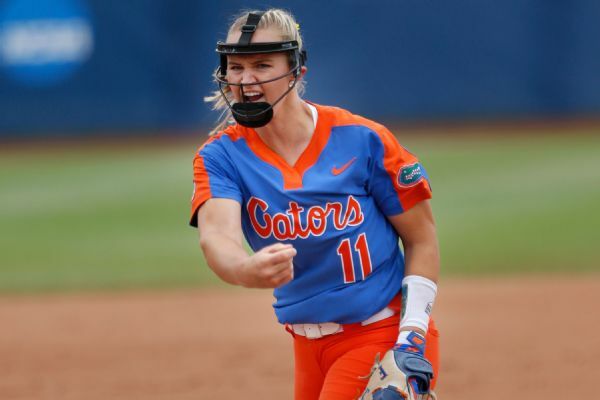 Kelly Barnhill, the espnW player of the year, is trading her Florida uniform for a USA uniform this summer (and beyond?). All of that is the background as the U.S. welcomes not just world No. 1 Japan, but No. 3 Canada, No. 4 Australia, No. 7 Puerto Rico, No. 10 Mexico, No. 17 Philippines and the U.S. junior national team, which will compete for a junior world championship later this summer. Everything that happens in Oklahoma City takes place in the context of 2020, and for the U.S., in the context of a national program trying to transition from survival mode to the spotlight. Team USA players watched what happened this spring, as members of the women's national hockey team fought for better standards and the members of the women's national soccer team negotiated a new collective bargaining agreement. Like their peers in NPF, they aspire to find a means to transform the popularity of college softball into sustainable post-college opportunities. For now, that remains aspirational. As a result of Olympic reinstatement, national team players are now receiving at least modest financial stipends after years of playing each summer for essentially per diem money (Eriksen continues to coach without pay). That assistance may grow each year closer to 2020, but it won't make it easy for anyone to be a full-time softball player. Carda played in her first World Cup two years ago, her first large international event since winning a junior world championship in 2011. She has been part of a team that won the World Cup final and part of a team that lost the final. But what she said stood out about the event was the interaction with players from around the world, meeting and competing against peers whose affinity for the sport may have been the only thing they had in common growing up. "It's hard for us as softball players, and just women in sports in general about pay," Carda said. "But for us and the team right now that we're on, our goal is the 2020 Olympics. We're playing because we love the game and we're passionate about it and we want to get to the Olympics. "Unfortunately, it doesn't come with a lot of pay. But in the end, the payoff is hopefully a gold medal. That's what we're kind of getting at. We would definitely love to push for higher pay and all that kind of stuff, but our focus right now is kind of veered because this is the first year it's back in the Olympics. We're just really grateful for that." Which is why this year's World Cup is of major significance, whether or not it's a major title.